Why companies should bet without hesitation by a content marketing strategy? In the digital information age, content has positioned itself as one of the basic pillars of any marketing strategy and communication. However, not all information is equally relevant, and all types of content can generate the same return and impact. Even for many companies, despite the popularity of this type of strategy, especially on the internet, it remains a challenge to quantify effectively the return of such strategies and actions. 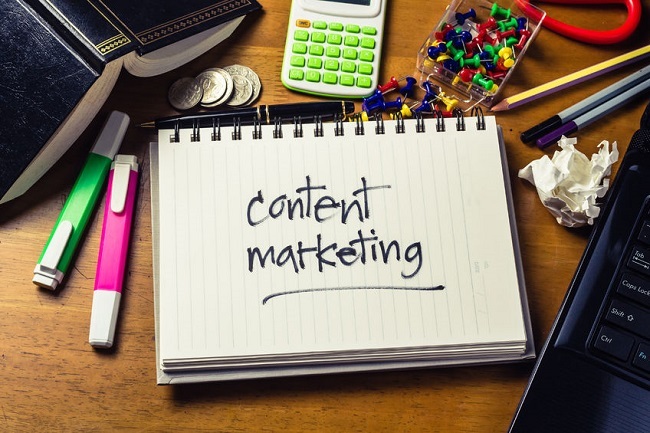 However, the barriers themselves that can meet not imply that content marketing cannot be considered as one of the most successful formulas and recommended and for companies and brands. Professionalism and know-how, are as in all disciplines, vital aspects that will determine the success of each strategy. Similarly, not all information that brands can generate subsumed or actually considered relevant “content” for your audience or target audience. Companies can generate information to communicate with nothing interesting to say, without offering stories, without offering added value … ie, thereby making the most widespread error. However, all this has nothing to do with that offer information and content to truly encourage and promote the engagement, arouse interest and thereby exposing their own brands. 92% of B2B companies, along with 86% of the rest, including content marketing within its strategy Even so, find companies that know how to exploit its full potential, but also companies that do not understand such premises and principles, they have been frustrated thinking that that content marketing is not for nothing, that what so many others spoke, and then it turns out that behind it, nor was there much less planning and strategy. It is not surprising therefore that many of these companies and many others whose doubts remain the main reason for this misperception, keep asking yourself the same question content marketing really works? The answer is yes. In addition, many facts and figures may serve to really understand their true potential and why companies should certainly bet a content marketing strategy. It is more cost-effective than traditional marketing strategy. On the one hand, it is up to 62% cheaper, it also generates up to three times more leads. The inbound marketing helps to get leads with less investment than other marketing. Thanks to inbound marketing can save up to 13% on the cost per lead. The positive content marketing helps brands to achieve greater visibility and relevance, get new customers and retain existing ones. It is a non-intrusive way to approach the target audience, and show their value. Attracting higher value customers. Finally they get leads that become customers make purchases with an amount 47% higher than the rest. Companies including computer graphics within your content marketing strategy get up to 12% more traffic than your competition. The content based on the image inevitably attracts users, hence the success of Pinterest and Instagram. The audiovisual content can be the best selling point. Customers need to know the product or service, with the detail. It is possible to transmit information in a simple and entertaining way video. Customers actively demand information about the products that interest you. Arriving at the company website, hoping to find related to what the company offers them content. Given this lack of useful information, 70% cannot help but feel frustration. Customers rely more on branded content in advertising. 68% commitment to this kind of contribution by companies, while only 3% trust conventional ads. This is the essential ingredient of social networks. Users enjoy seeking out and sharing content; just as fleeing everything that resembles commercial information and advertising impact. Content marketing is applicable to a multichannel strategy. Thanks to him, brands can diversify the information on various platforms, in order to get a better grasp.